Nowadays Everybody is conscious of health. We skip meals, live on fruits, proteins and gym, but in between all this what we have forgotten is the importance of giving our body the right amount of carbohydrates and other nutrient-rich food. 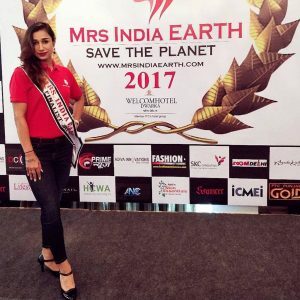 We have this lady Diksha Chhabra, a homemaker, a mother to an eight-year-old and the winner of Mrs Body Fit crown at the Mrs India Earth 2017-18 beauty pageant. But today Diksha is an inspiration for every woman. It wasn’t easy for her as there was a time when she weighed 86 kgs herself. 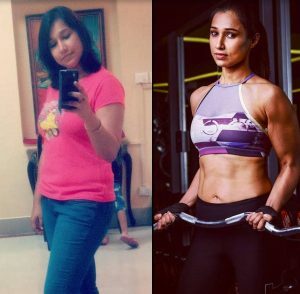 During an interview, Diksha shared how she transformed from an overweight, unhappy housewife to being an ambassador of fitness. I was 86 kgs, 29 years and an old depressed woman. It wasn’t a long ago when Diksha was going through a tough time with regards to her health. “I was gaining weight uncontrollably, not able to sleep properly and had a disturbed menstrual cycle,” she said. And it was then that she found out that she is suffering from PCOD and thyroid. “I was scared for a moment. But then, I knew this has to change, not just for myself but also for my child,” Diksha said. Diksha’s son was her sole inspiration back then. Being a mother of an 8-year-old and an Army officer’s wife, she wanted to be an example for her kid and everyone who just give up on their life. She then bought a treadmill, to begin with. She also lessened her eating and started to work out at home with which she lost 18 kgs. But it was essential for her to educate herself regarding the correct ways of weight loss. That is when she discovered strength training as a good option. “From not being able to walk even for 2 km, I became someone who could dead-lift 100 kgs and squat with 80 kgs,” she added while in an interview. Diksha now wights 61 kgs with body fat 15 per cent. 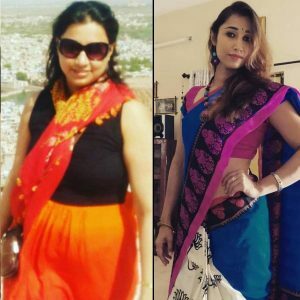 “I lost around 25 kgs in one year,” she added. 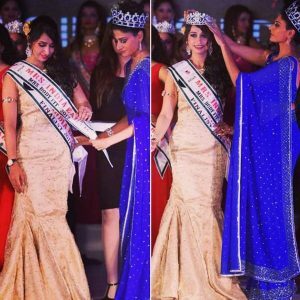 Diksha was crowned Mrs Body Fit 2017-18 at the Mrs Earth India pageant. For Diksha, there’s no looking back since then. And that is really inspiring. 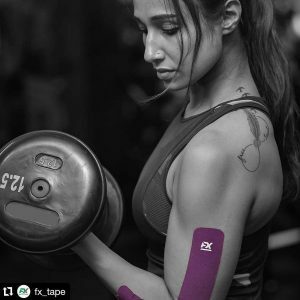 Apart from being associated with many fitness brands, Diksha is a fitness trainer and sports nutritionist. Diksha is a fitness expert with brands including Decathlon. 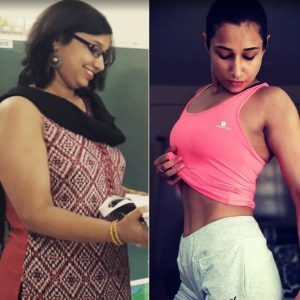 She even has her weight-loss programs like ‘LetsliftwithDiksha’ and Transformation 21, through which she has plans to empower women to look forward to a healthy lifestyle. Diksha is also a model for a few brands and the Health and Nutrition ambassador of Helping Children with Autism (HCWA), i.e., the philanthropy partner of Mrs India Earth and Nutrition expert of team Womenly Campaigns. 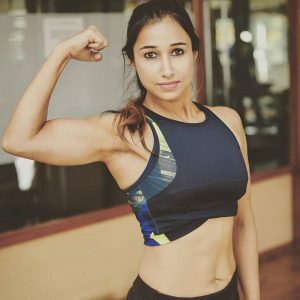 Once Diksha started sharing her story on social media, a lot of women resonated themselves with her journey and that is how she became a fitness Instagram Influencer. “It’s difficult yet very important to take out time for your own self when you are a homemaker and a mother to an eight-year-old,” Diksha shared her biggest struggle. In an interview she shared about her biggest struggle, Diksha shared that it was juggling with responsibilities and expectations. One must have a balance between all the responsibilities and then proceed. “It was planning, prioritising and effective time management that helped me overcome these hurdles in the day-to-day life,” she shared. “It is heartening to see people getting fitness-conscious but there’s a huge gap between knowing and doing the right thing,” Diksha said about the current scenario of fitness in India. As it is rightly said, ‘half knowledge is dangerous,’ Diksha believes that people these days hear things on the Internet and start implementing without complete knowledge of it. Well, she is right. “A lot of people are completely shifting to fruits and protein diet only, but for a healthy mind and body, it is essential to take the right amount of carbohydrates and other nutrient-rich food,” she added. Fitness is not a three months crash course that once achieved will live with you forever. It is a lifestyle change that has to be brought in. “I not only pre-prep my routine but I make sure that my child’s day should go on smoothly,” Diksha shared. Sharing how she manages it all, Diksha added that if you are a mum, a homemaker and you also have a career to take care of, you need to plan everything a day prior. “You have to take some extra pain, let go some comforts but I guess that’s a small sacrifice for the stability and smoothness I want in my daily routine,” she added. Talking about her routine, Diksha shared that she wakes up early, makes breakfast, sends her son to school, prepare meals and then hits the gym. She further advised that if one has this essential equipment, it becomes easy to work out anywhere anytime. “I follow a structured diet because it’s a need for me not only professionally but also for my personal wellbeing,” she added. It’s never too late to incorporate a healthy lifestyle. 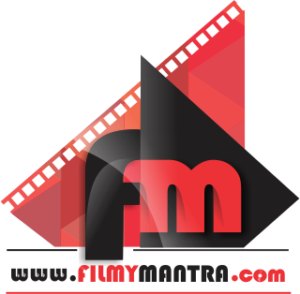 “We all need to make fitness a part of our lives. If you take care of your body by providing the best nutrition and active lifestyle, it will respond back most beautifully by gifting you best of your health,” she concluded.